Saturday, August 13th began with a Breakfast of fruit salad, pancakes, hash browns, sausage and more. 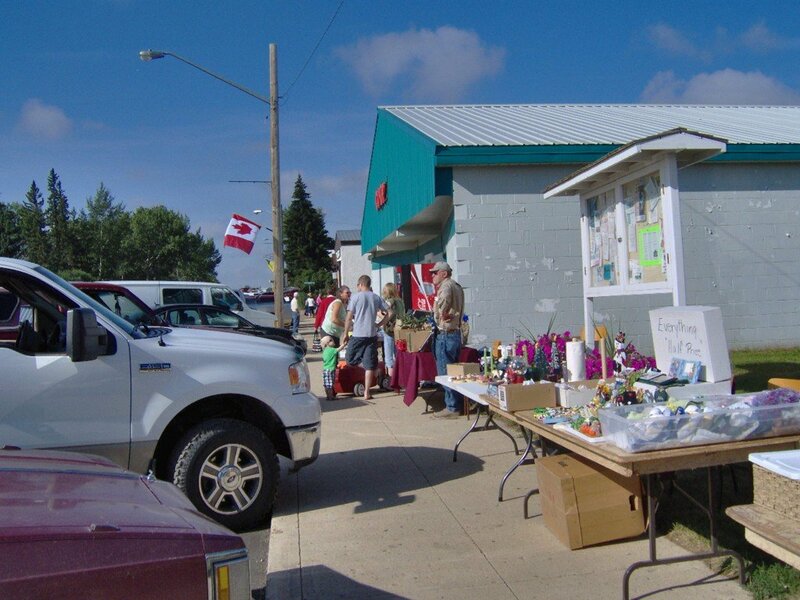 At 9 am the Farmers Market was held on main street. We had quite a few vendors out for this special Farmers Market selling fresh vegetables, baking, books, crafts, and much more. The Parade started at noon with many floats, new and old vehicles, horses, old tractors and more. Following the Parade was the Opening Ceremonies at the School Grounds with special guests: Lieutenant Governor Gordon Barnhart, The Honorable Dustin Duncan MLA, Ed Komarnicki MP and Tracy Mann, Executive Director of the Community Initiatives Fund. Each of the guests spoke for a few minutes expressing their best wishes on our 100 Year Celebration, our new Water Treatment Plant, Daycare and Community Kitchen. Our Mayor, Rod Rowland, spoke about all the things happening in Pangman and welcomed all those who have come to our 100 Year Celebration. Reeve of RM Norton #69 Chuck Jacques also congratulated Pangman, the RM of Norton, Amulet, Khedive and Parry on their 100 years of Prairie Life. Chuck Jacques presented certificates to the families who were recipients of Century Farm awards. Then the senior citizens of Pangman were honoured with the Oldest residents (90 +) Mary Scott and Edith Bernard receiving a corsage. Kay Kessler is the eldest resident of Pangman and Cecil Guest is the eldest man. Marjorie Neate also received a corsage. In the afternoon there was a tour of the new Daycare. Children’s activities with Allison Kessler were held at Bethel Mission Church. Kids of all ages were kept busy with playdough, crafts, fort building, games, basketball, fish pond, face painting, balloon animals, snacks and of course the inflatable bouncers which were sponsored by E. Bourassa & Sons and Clear Creek Organics (many thanks). I was fortunate to have some wonderful helpers who helped entertain the (approximately) 50 children! We kept the fun going 45 minutes longer than planned and had to finally shut down, still turning a few kids away. Thanks to the Bethel Church for letting us use their space. It was the perfect setting for a wonderful afternoon. At 3:00 pm the 1996 Time Capsule was opened at the Pangman Library. 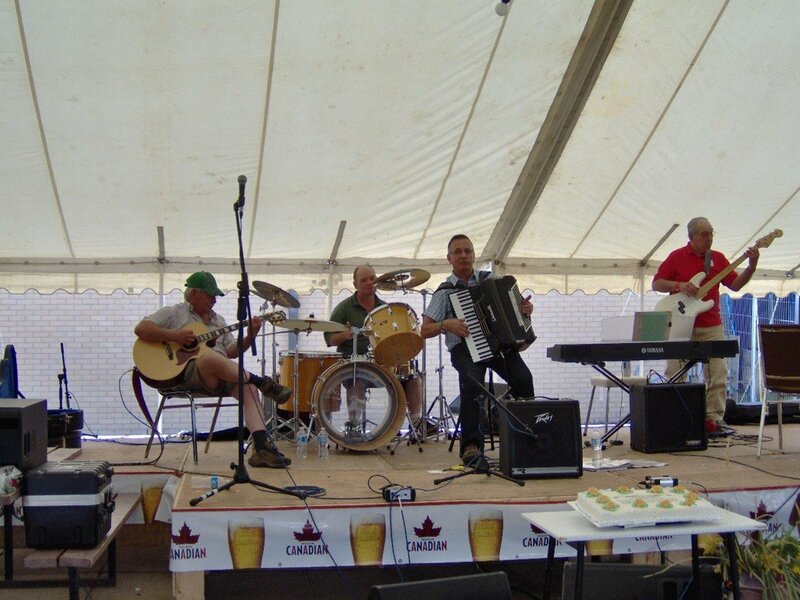 During the afternoon at the School Grounds local musicians played music and the Beer Gardens were open. 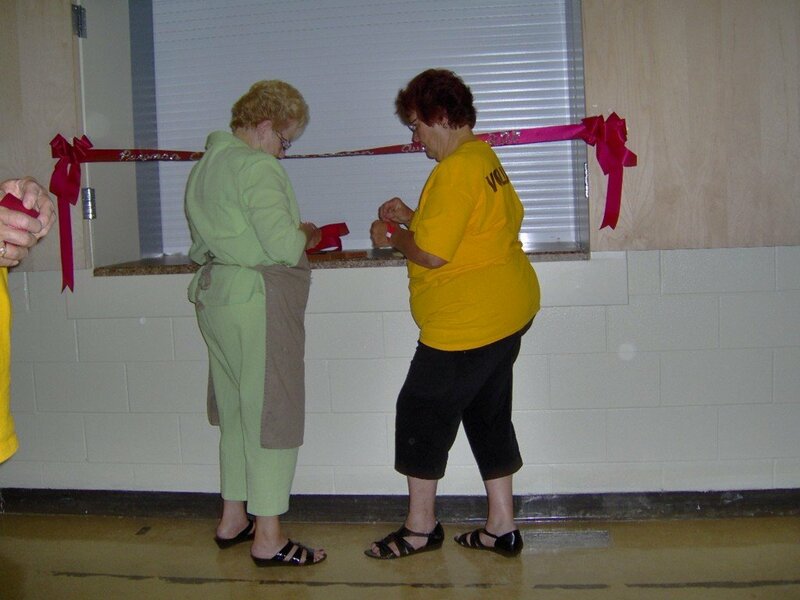 Just before supper was served there was an official ribbon cutting ceremony at the Community Kitchen. Chuck Jacques and Mayor Rod Rowland gave greetings about the Community Kitchen and then Brian and Gladys Jesse cut the ribbon officially opening the Community Kitchen. 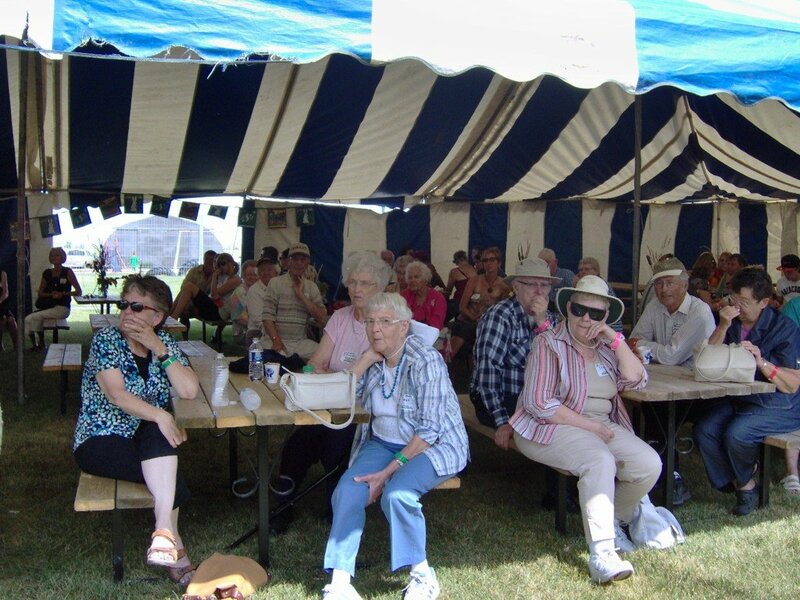 About 600 people enjoyed a supper featuring Cliff’s famous Roast Beef, baked potato, coleslaw, fresh vegetables, and more was served.Following supper Connie Lozinski announced the winner of the Pangman Princess Contest, Christie Jesse. In the evening Fur Eel with Justin Sheppard performed and the Beer Gardens were open until 12 midnight. It was a full day of activities, and could not have happened without the work of many many volunteers. Thanks to all the volunteers for all their hard work.